Discover a more collaborative way to plan and manage your marketing efforts. A budget is a crucial part of any marketing plan. It gives a clear overview of all the costs associated with carrying out your marketing activities, including advertising, online content, branding, public relations, staffing costs and more. Creating a marketing budget can help you stick to your plan and avoid unanticipated costs, reducing the possibility of overspending. Since a marketing budget reduces risk and provides a financial road map, it’s a useful tool for both large and small businesses. It also allows you to determine the return on investment for different aspects of your marketing plan. Accurately estimating expenses is vital for the success of your marketing goals, but you can measure your success by comparing actual expenditures against your projected costs. Your marketing budget then becomes an important reference for adjusting your plan over time as well as for creating future plans. As you create your marketing budget, there are some clear advantages to using a template: prepared formatting and formulas, customizable features, organization and efficiency. All of the templates below are in Microsoft Excel format and are free to download. You’ll find comprehensive marketing budget templates for creating a detailed plan, with monthly, quarterly and annual views, as well as budget templates for specific marketing campaigns such as social media, website design, event planning and product marketing. 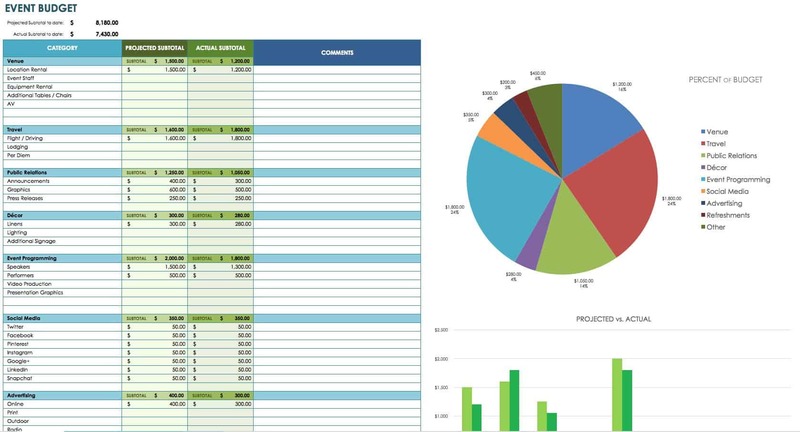 We've also provided marketing budget templates in Smartsheet, a real-time work execution platform that makes marketing budget tracking easier and more collaborative than Excel. Once you have determined your marketing plan and total annual budget, it’s time to align your budget with your marketing goals. What goals are you trying to achieve? This is the most important thing to keep in mind as you prioritize your expenses. We’ve already mentioned some of the categories that may be included in your marketing budget, from digital marketing to personnel costs. These categories are chosen based on your marketing campaigns and tactical plans for reaching your goals. Assign a budget amount to each category, and be thorough. You don’t want to miss hidden costs and then have to make up for it later. For instance, if you are marketing a product, you can’t simply plan your budget around promotional costs. You also need to consider the costs of any competitive analysis and consumer testing that might be required to ensure that your product launch and marketing efforts are successful. Keep in mind that expenses will vary from month to month. If you are over budget in a category during one month, look at your annual budget plan to see if this balances out later - perhaps because the category is no longer needed at a later date - or if you need to reduce costs in a lower priority area. Creating a detailed and realistic plan will help you stay on budget and on task for achieving your long-term goals. 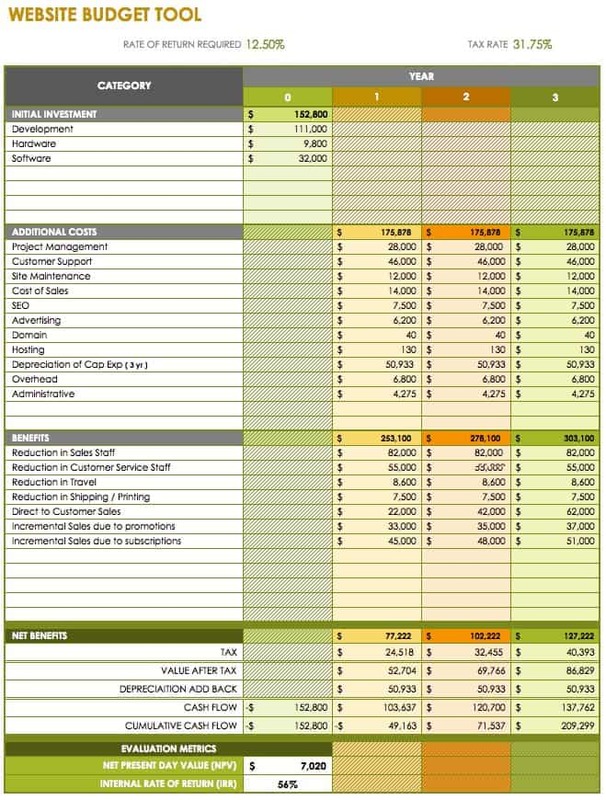 This marketing budget plan template shows itemized categories, an estimated cost for each item, subtotals for each category, and a grand total. The simple layout is easy to read, and there is room for additional notes beside each category. 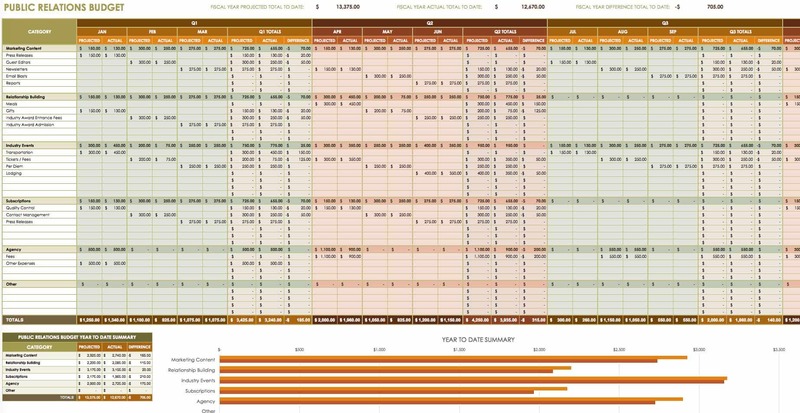 This template is designed to let you organize all of your expenses into a single budget plan. Use it for annual planning or a marketing campaign of any length. 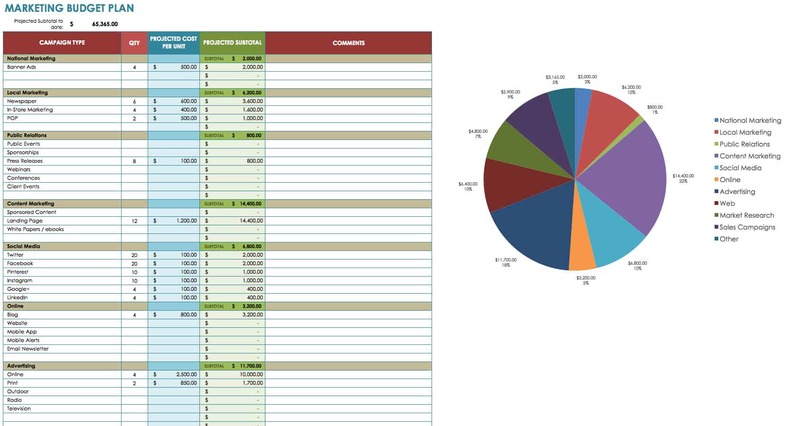 This annual marketing budget template offers a simple layout with columns for monthly, quarterly and yearly costs. The template includes categories for market research, branding, public relations, lead generation, digital marketing, events, sales support and travel. Organize your annual marketing plan while tracking monthly expenses. This template can be as detailed as needed depending on the scope of your marketing campaigns. 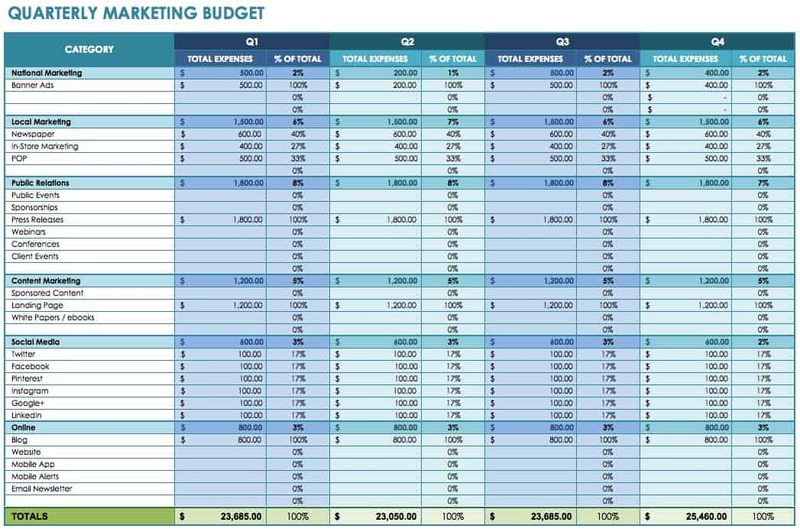 This simple marketing budget template shows projected and annual costs for multiple categories side by side. You can assign costs for each week of the month and track total expenses by month, quarter and year. This makes it easy to compare projected costs against your actual spend, and the template also calculates the difference. Choose whichever categories work best for your business and marketing plan, and then enter your financial data. Focus on your digital marketing budget with this free template. It covers various categories related to digital marketing, including website development and ongoing optimization, web analytics, paid advertising, SEO, social media and email marketing. Itemized expenses are totalled monthly and yearly. This template allows you to break down your digital marketing campaigns into a single strategic budget plan. 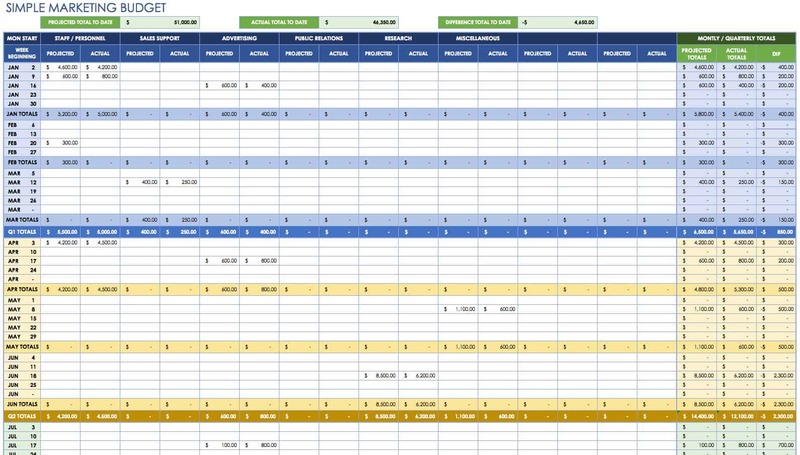 Use this free budget template to keep track of all your social media marketing expenses, from staffing and agency costs to content creation and promotions. Once you’ve entered your expenses, you can plan your monthly projections and track your remaining budget. You can easily weigh your year-to-date spend against your total budget and see what percentage of your marketing budget is allocated to which social media marketing efforts. Event costs may include advertising, venue rental, food and beverages, travel costs for speakers, decorations and more. 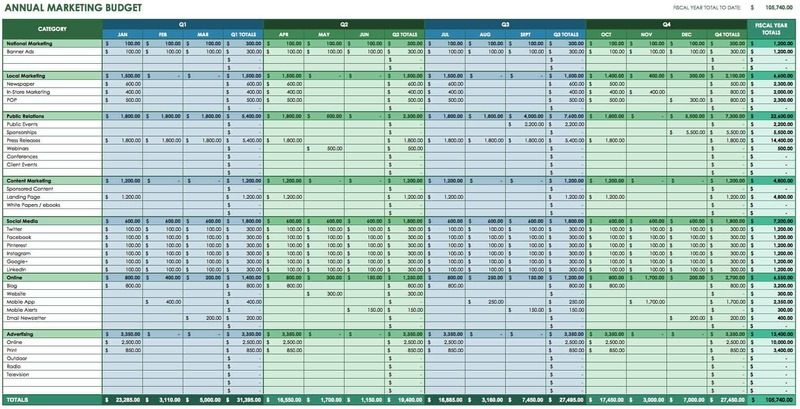 Use this event budget template to plan all of your projected costs and track your actual expenditures. This template offers a wide range of categories, but you can easily edit them to be more relevant to your specific event. 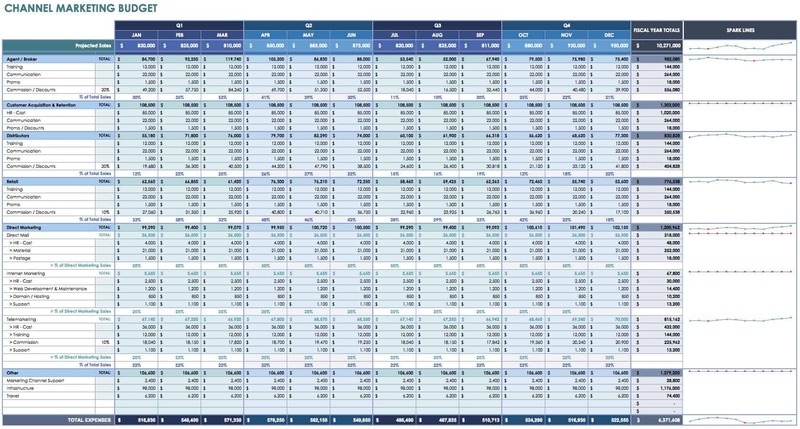 If you want a template that shows only your quarterly marketing budget, this is a simple, one-worksheet version. Marketing categories are listed on the left, and quarterly tallies are on the right. Keep track of your itemized and total expenses for each quarter. This channel marketing budget template focuses on the expenses associated with marketing to four key channels: brokers, distributors, retailers and customers. It also has sections for personnel costs, direct marketing, other expenses and projected sales. The template shows monthly and annual totals for each category. If your business sells products, research, focus groups and user testing help ensure that your marketing tactics and messaging are effective. This product marketing budget template includes categories for each phase of marketing as you move toward a product launch. Proper planning and research will help ensure a successful outcome, potentially saving you money in the long run. Depending on the scope of your content marketing, your budget may include expenses for freelancers, stock images, publishing tools, video hosting, analytics and more. This budget template covers multiple aspects of content marketing, calculating monthly, quarterly and yearly costs. Creating quality content that serves your marketing goals takes time and money, so plan your budget carefully to make sure all your bases are covered. From brand messaging to reaching customers, a website is an essential tool for business success. If you’re developing a new website or redesigning an old one, creating a budget can help you plan for the initial investment as well as ongoing costs. This website budget template provides a section for monetary benefits, so you can contrast those amounts with your costs. Amounts are totalled annually, and you can view projected changes over three years. This may be the age of digital marketing, but traditional PR is still important to any marketing strategy. Manage all of your PR costs - from agency fees and trade show costs to research and reputation monitoring software - with this public relations budget template. Use the template as is, or customize it to reflect your own marketing categories. 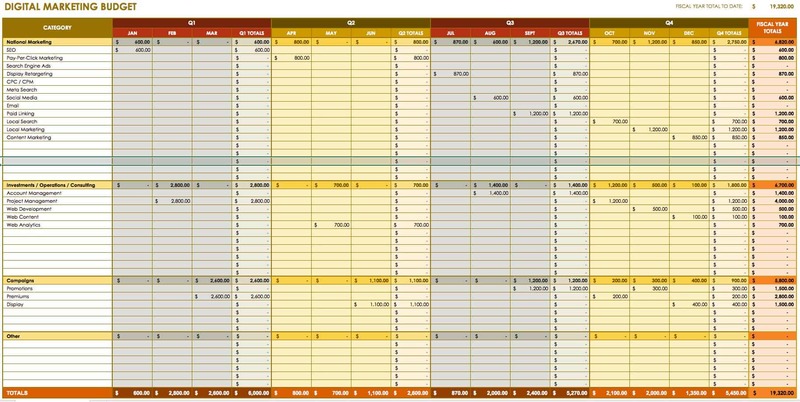 The template is organized so that your monthly projected and actual totals are shown side by side. 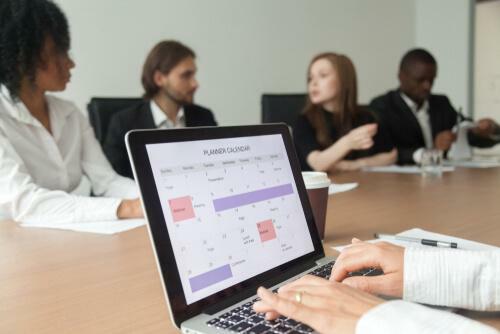 Finding the right template can help you get started planning your marketing budget, but you also need to consider an ongoing solution for managing your overall campaign efforts. Look for a tool that provides real-time access to internal and external stakeholders, visibility across channels and campaigns, and automated alerts for when tasks or budgets aren’t on track. Smartsheet is an enterprise work execution platform that is fundamentally changing the way businesses and teams work. Extraordinary marketers rely on Smartsheet for campaign management, initiative tracking, content calendars, event management, and more. Use Smartsheet to boost accountability by maintaining consistency across channels and campaigns, save time with centralized resources, and increase campaign speed-to-market. Seamlessly connect marketing efforts to ROI, accelerate delivery of marketing initiatives, and improve alignment with internal and external stakeholders. Try Smartsheet to discover why professionals around the world use it to more efficiently track and manage their marketing efforts. What Is a Marketing Budget Plan? A marketing budget plan is a detailed roadmap that outlines the cost of all marketing strategies and tactics involved in hitting the projected results. This plan provides visibility into both the specific goals of the marketing team and how much it will cost to achieve those goals. Considered a critical resource that can be leveraged by the entire company, a marketing budget plan gives insight into how marketing campaigns are run within the organization. How Do You Create a Marketing Budget? To create a succinct marketing budget for your business, first determine both your annual marketing goals and your positioning in the marketplace. Outline all projected plans you have for your product or services on an annual basis. After these details have been analyzed, develop a marketing budget that allots a specific amount of money towards marketing campaigns and goals. Revisit the plan and budget on a regular basis to update the details as your business goals change. How Much Should You Spend on a Marketing Budget? On average, it is reported that companies should spend around 5% of their total revenue on marketing efforts in order to maintain their current position in the marketplace, according to FrogDog. Companies that are looking to grow or expand their market share should allot a larger percentage of their overall budget towards marketing campaigns, landing around 10% of total revenue, according to FrogDog. Discover the best way to plan and track your marketing strategy with 14 free marketing plan templates. Organize your social media, blogging, editorial calendars, and more with these free Excel templates. 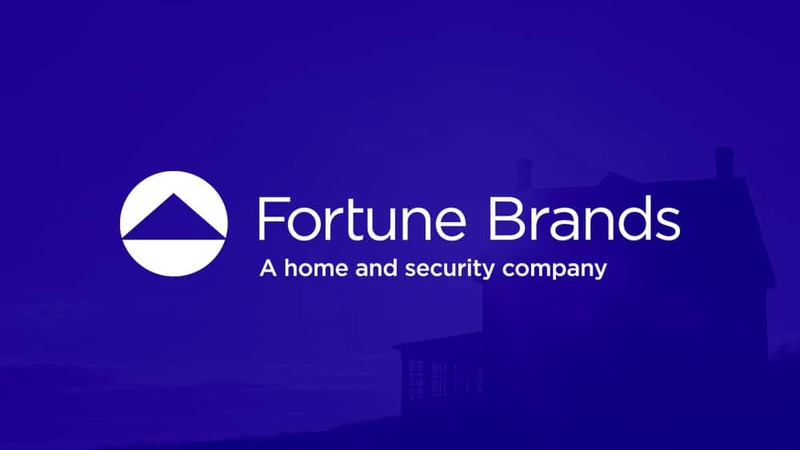 Learn how Fortune Brands has created a single source of truth for their content management strategy. Hey, thank You for Templates :) Really, I shouldn't do my job without You.